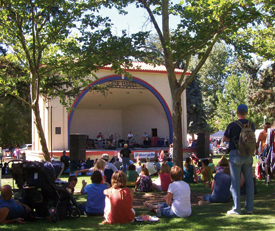 * All Art in the Park performing arts take place in the Gene Harris Bandshell. Please contact the Art in the Park Coordinator at aip@boiseartmuseum.org to inquire about the selection process, which begins in March of each year. No other performances are permitted in the park during the event. 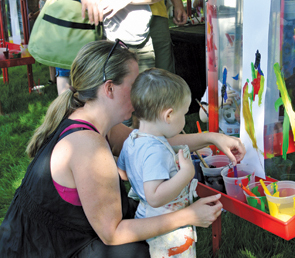 Visit the Children’s Art Tent for three fun projects related to the exhibitions at BAM. Create colorful abstract compositions inspired by artwork in Cercle et Carré and the International Spirit of Abstract Art, paint landscapes inspired by the work of Pierre Daura, and draw people and places inspired by the artwork of James Castle. $2.00 per child. FRIDAY, SEPT. 7 11:00 a.m. – 6:00 p.m.
SATURDAY, SEPT. 8 11:00 a.m. – 6:00 p.m.
SUNDAY, SEPT. 9 11:00 a.m. – 4:00 p.m.
CLICK HERE for a complete list of BAM’s education programs.